Saad al-Hariri announced on Saturday (November 4) that he was resigning as Prime Minister of Lebanon. He made the announcement from Saudi Arabia. Hariri said he believes there is an assassination plot against him and accused Iran and Hezbollah of sowing disruption in the region. Hariri’s resignation puts Lebanon into the front line of a regional competition between Sunni Saudi Arabia and Shi’ite Iran and could exacerbate sectarian tensions between Lebanese Sunni and Shi’ite Muslims. But in order to understand how Lebanon has become entangled in tensions between Iran and Saudi Arabia, one must understand what is at stake between Iran and the Saudi kingdom. According to the Stockholm International Peace Research Institute (SIPRI), Iran’s defense budget reached more than 12 billion dollars (10.3 billion euros) in 2016. Tehran currently disposes of 534 000 active military personnel and a reserve of 400 000. Iran has worked on expanding its network across the Middle East. The country is linked to the Shi’a Islamist political party Hezbollah in Lebanon and is also present in the Gaza strip and in Syria as the main ally of Syrian president Bachar el-Assad, as well as Yemen and Iraq. Iran has its own arms production such as the Zulfiqar tanks and has a considerable production of long-range, cruise, and ballistic missiles, which is distributes to its allies (mostly Hezbollah and Houthis). Thierry Kellner, author of l’histoire de l’Iran (History of Iran) and professor at Univesite libre de Bruxelles, told the Lebanon-based French paper L’Orient-Le Jour that “the Iranians are more organized on the military front than the Saudis” and that “Iranian nationalism is another factor that plays in Tehran’s favour because the population could rise up” if there was ever any confrontation. With important Iranian influence in Iraq and Syria and growing military power, the new Saudi approach might be to bring conflict to Lebanon to stop Iran from gaining more power over the region. “The Saudis appear to have decided that the best way to confront Iran is to start in Lebanon,” a European diplomat told Reuters. Riyadh is blaming Hezbollah for the resignation of Hariri accusing it of “hijacking” Lebanese politics. A Saudi Minister also demanded that the Lebanese act against the Shi’a party, which is a major political player in Lebanon. But how things might play in Lebanon are still very uncertain Halim Shebaya, a political commentator on Lebanon and the Middle East told Euronews. 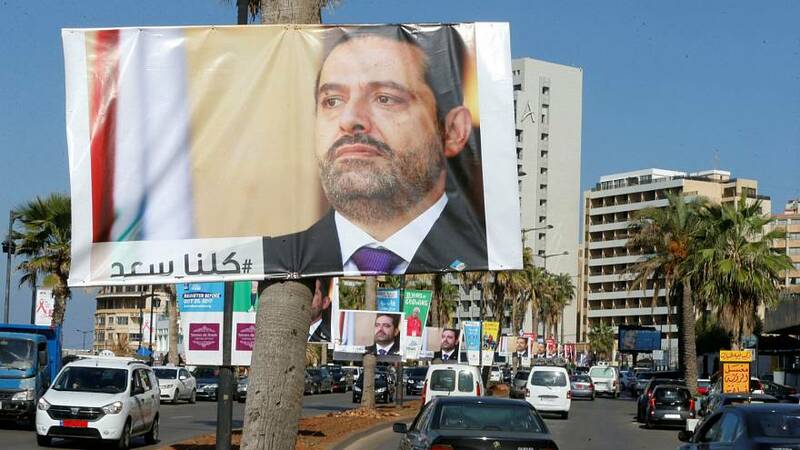 What is certain is that Hariri’s resignation means political instability and deadlock for Lebanon, since the Lebanese president Michel Aoun has not yet recognised Hariri’s resignation from Riyadh. Shebaya added that Lebanon is also waiting to see what other sanctions Riyadh will impose on them since they ordered their citizens to leave Lebanon. However, what is also clear is that “there is no appetite for another civil war in Lebanon,” said Shebaya.